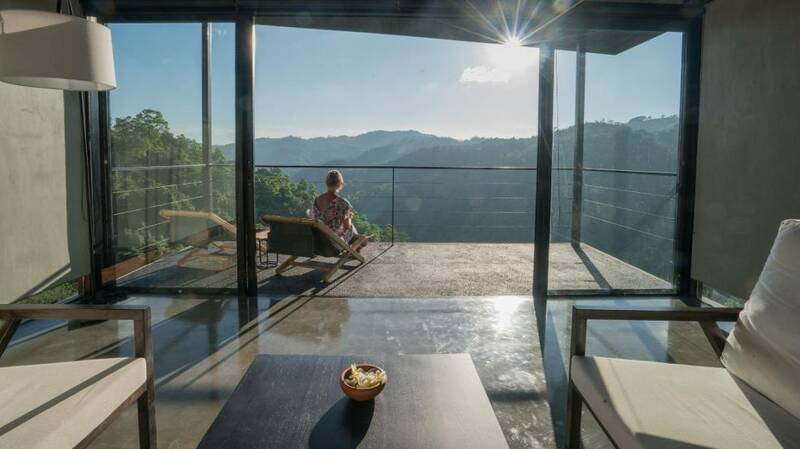 Picture this: it’s 6:45 AM, the last clouds of morning fog are lifting up revealing a range of knuckle-shaped mountains overlooking an endless parterre of green, thick, forest. You are heading out for your first yoga session of the day and the class will happen in a room without walls, to the sound of the wind. This is how a regular day starts at Santani. 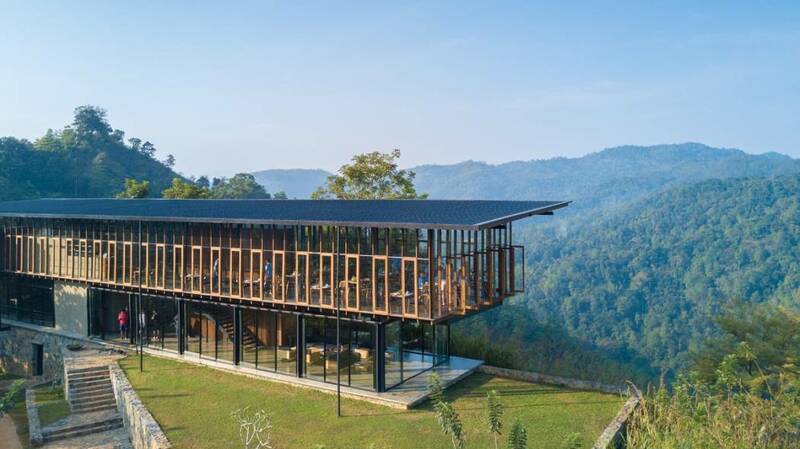 This resort and spa located in the mountains of Kandy, in the central province of Sri Lanka, was built around the idea (or ideal) of ultimate well-being achieved through slowing down and finding the balance between a healthy diet, movement and mindfulness. Upon arrival, each guest is greeted by Chef Wajira Gamage to discuss dietary requirements and define the best menu to suit them. For me, it was a fully vegetarian diet with a preference for Sri Lankan food. 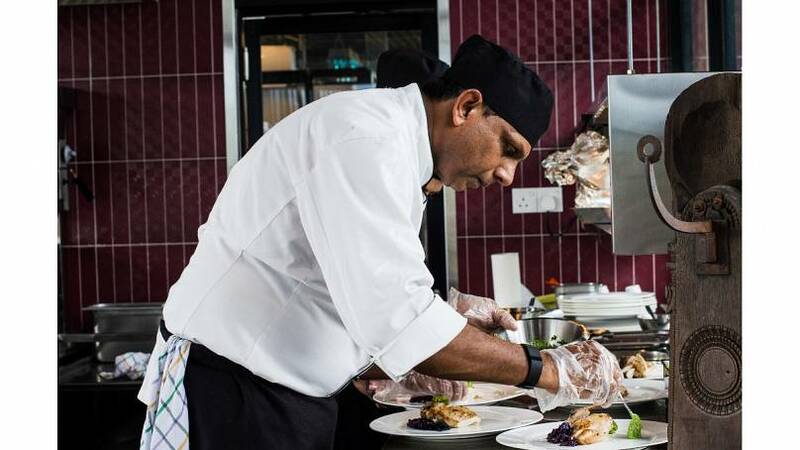 Officiating since the opening on September 2016, Chef Gamage was the founder of this particular culinary experience inspired by the six tastes (sweet, savoury, bitter, sour, pungent, and astringent) combined with the three body types called doshas (Vata, Pitta, Kapha) defined by Ayurveda. It sounds complicated but no need for any maths. Just eat: it’s delicious. Each meal comes from the partially open kitchen, and are served by your personal waiter in the magnificent panoramic restaurant. 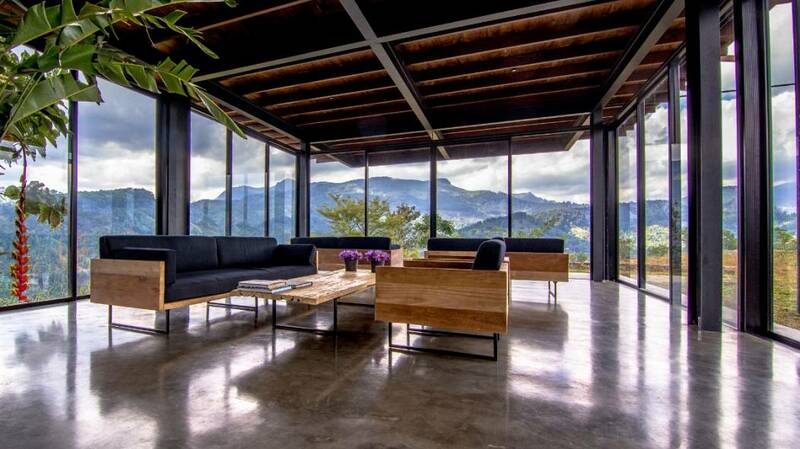 A glass and wood building from which you can admire the UNESCO-protected Knuckles mountain range that emerge from a thick jungle to the East. A beautiful sight very few have the chance to admire whilst travelling in Sri Lanka as this is not on the average tourist trail. Open is the word that best describes Santani. 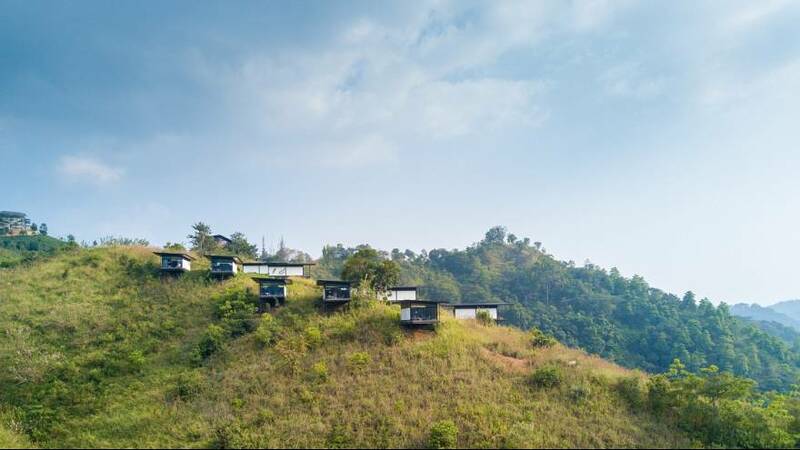 Each of the 16 mountain rooms is an individual en-suite pavilion with a maxi terrace on top of a hill, opening to endless shades of forest green. The best feature of the room comes with no vis-a-vis meaning nobody can see you and you can’t spy on your neighbours. It’s nature and you, at last. That’s probably why everybody, including me, chooses this particular place for the Instagram picture. The main options are: wearing a bathrobe and leaning against the balcony gazing mysteriously into the horizon, doing an easy yoga pose (mine) or drinking a cup of tea with the hashtag #teawithaview. Don’t forget to mention @_living.it to show us yours. The room are also open in a very literal way, as the top half of the walls have permanent holes in them. The sounds of nature echo inside your private villa and it can get quite noisy with locusts jamming all night long. And given the fact that the room is pretty luxurious - king-size bed with fluffy pillows, washed stone designer bathroom, and delicate mosquito net folded in a honeymoon style - the experience becomes quite surreal. It’s like sleeping under the stars, but the only stars here are the five awarded to this bedroom. I would say Santani is the ultimate glamping experience but it’s more ‘glam’ than ‘ping’. But we left you at yoga. It’s 7:45 AM and it’s time to grab a towel and hit the spa for a traditional body massage, a deep cleanse at the sauna and some well-deserved laps in the infinity pool. 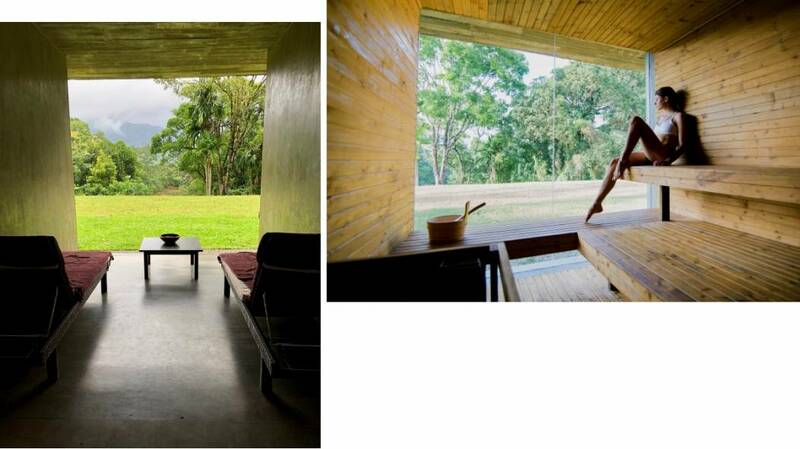 The massage room is also open with only three walls surrounding it, your feet facing the outside world. Scary, at first, but easily forgettable because, once again, it will only be you, Mother Earth and a very professional Ayurvedic therapist. The mixture of herbal oil and fresh cut grass will make you forget all about your inhibitions and you’ll soon be transported in the wonderful world of deep Ayurvedic relaxation. 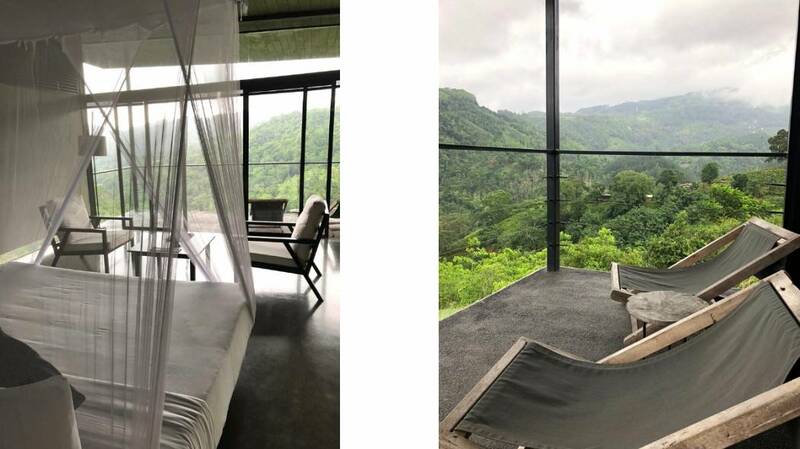 I won’t spoil the rest of the spa features although I have to mention the warm thermal bath with a breathtaking rectangular view (top right picture) where I stayed for over an hour contemplating the landscape and meditating on life. Proof that the holistic approach to wellness was clearly working. Now we need to talk about breakfast and, most importantly, the fresh organic ingredients you’ll be eating at Santani. The first meal of the day will always start with a plate of fresh cut tropical fruits and be followed by a variety of sweet and savoury dishes, served in impeccable tableware. Not only will you be sampling the best of the best in a contemporary masterpiece of design, you’ll also know exactly where everything comes from. Hint: next door. 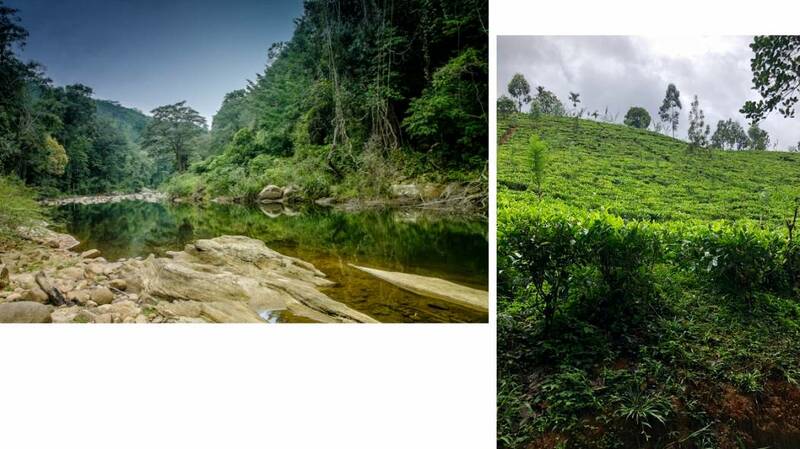 Santani is located next to a tea plantation, where Acacia are used as natural fertilizer. The hotel is also surrounded by mango, avocado and even coffee trees as well as aromatic plants, with massive jackfruits hanging around everywhere. All of these, and more, are used in the kitchen daily. 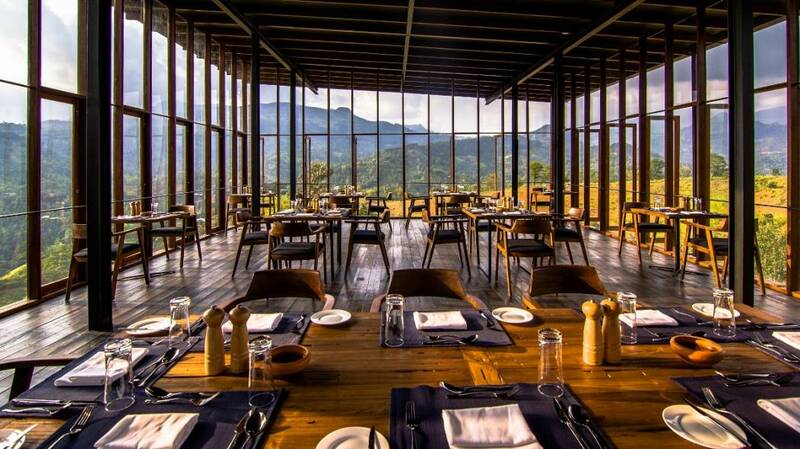 The hotel is almost autonomous foodwise (only the fish comes from Negombo) thanks to its 120 hectares of land, and a new farm is about to open nearby. A 30-minute hike is available for guests to discover the plantations and walk to the river that flows below the property. It’s charming and I recommend it as you’ll be introduced to a number of native plants and animals you’ve never heard of and really have the chance to see your room from afar which makes for another great picture (see header picture). You’ll realize how tiny the lodges actually are compared to the landscape and how they blend perfectly into their surroundings. Santani is secluded at the end of a winding mountain road and difficult to access which is why it’s so quiet. 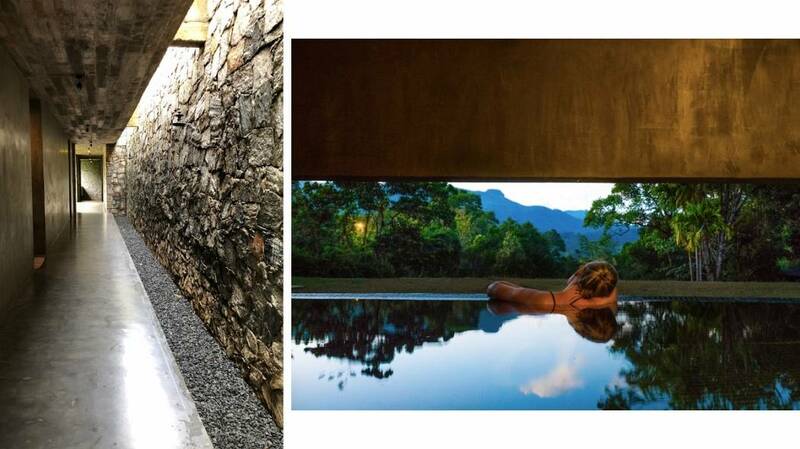 It’s the ideal place for a spa break during a long trip, a week-long yoga and meditation retreat if that’s what you’re into, or a stop before heading to nearby tourist hotspots in Sri Lanka. Kandy, which is a UNESCO-protected city, is located an hour'S drive away. 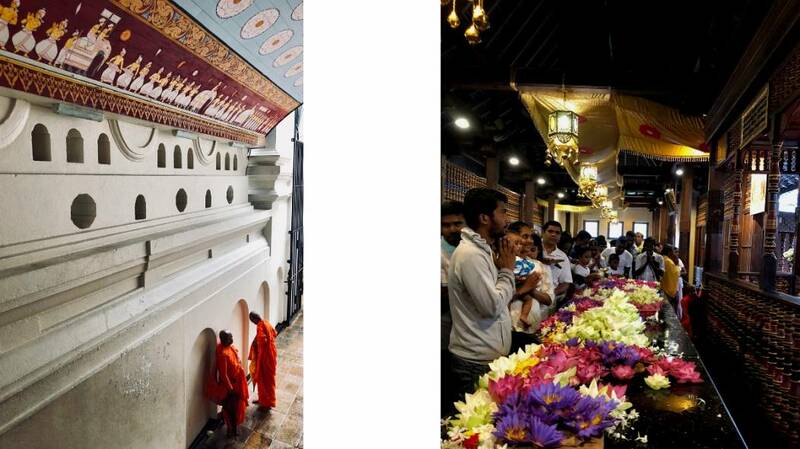 It’s home to the unmissable Tooth Temple, dedicated to the relic of the tooth of the Buddha. Visit during the yearly Perahera festival in July or August, that involves massive elephant processions and impressive fire-dances. 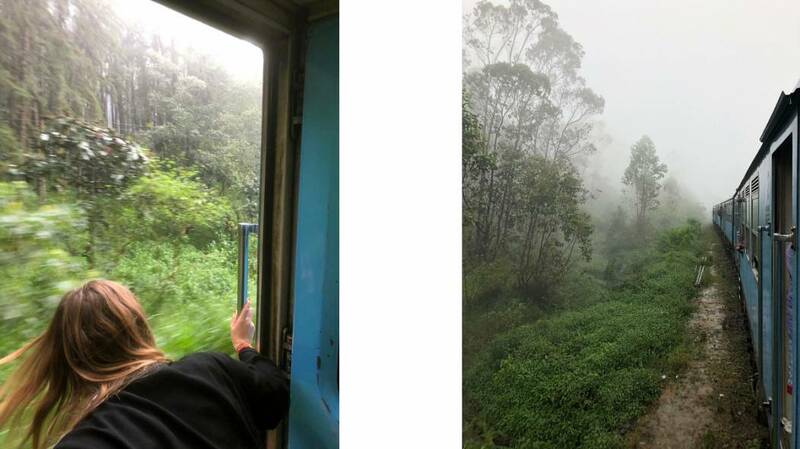 Kandy is also the departure point of an iconic - and rocky - train journey amidst tea plantations and misty forests… but that's a story for another time.